The Supreme Court has held that appeal provided under Section 13 of the Commercial Courts, Commercial Division and Commercial Appellate Division of High Court Act 2015 cannot be invoked to challenge order allowing execution of foreign award. 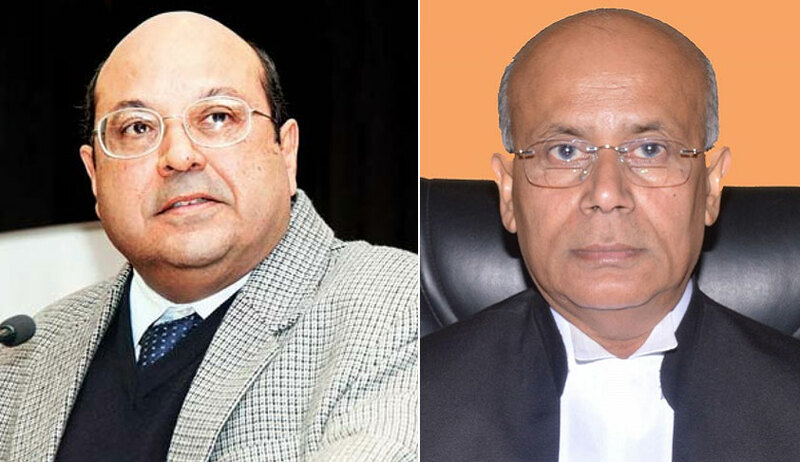 The division bench comprising Justice R.F Nariman and Justice Navin Sinha held that appeals in respect of arbitration proceedings are exclusively governed by the Arbitration & Conciliation Act 1996, and if no appeal is provided under the Arbitration Act then appeal provision under the Commercial Courts Act cannot be availed in respect of arbitration proceedings merely on the ground that the order was passed by Commercial Division of the High Court. The case involved the interpretation of the scope of Section 13 of the Commercial Courts Act and Section 50 of the Arbitration and Conciliation Act. Section 13(1) provided for appellate remedy before the Commercial Appellate Division of the High Court against orders passed by the Commercial Division. The proviso to Secion 13(1) further provided that appeals will lie from the orders passed by Commercial Courts/Divisions in the manner provided under Order XLIII of CPC and Section 37 of Arbitration and Conciliation Act, if such orders fell within the scope of the said provisions. Section 50 of the Arbitration Act enumerates appealable orders in respect of execution of foreign awards. As per Section 50(2), an order refusing to execute foreign award is appealable. But, an order allowing execution of arbitration award is not appealable. In the instant case, application for execution of a foreign award was filed. The execution petition was transferred to the Commercial Division of the High Court, as per the valuation of the award. The Commercial Division allowed the execution petition. The order allowing execution was sought to be challenged before the Commercial Appellate Division. The appeal was not entertained by the Appellate Division, pointing out that such an order was not appealable under the Arbitration Act. This order was challenged in Supreme Court. The Supreme Court declined to interfere with the order of the High Court. Referring to Fuerst Day Lawson Ltd v. Jindal Exports Ltd (2011) 8 SCC 333, the bench observed that Arbitration Act was a self-contained code. It was observed that Section 13(1) of the Commercial Courts Act, being a general provision vis-à-vis arbitration relating to appeals arising out of commercial disputes, would obviously not apply to cases covered by Section 50 of the Arbitration Act. The Court also traced the legislative reason for mentioning Section 37 of the Arbitration Act in the proviso to Section 13 of the Commercial Courts Act. It was observed that Parliament thought, in its wisdom, that it was necessary to emphasise that the amended Section 37 would have precedence over the general provision contained in Section 13(1) of the Commercial Courts Act. The Bench also referred to Arun Dev Upadhyaya v. Integrated Sales Service Ltd., (2016) 9 SCC 524, to support the conclusion that where Section 50 excludes an appeal, no such appeal will lie. It was also observed that the interpretation given by the Court was in consonance with the objective of the Arbitration Act, which was to ensure speedy resolution of disputes. Given the objects of both the statutes, it is clear that arbitration itself is meant to be a speedy resolution of disputes between parties. Equally, enforcement of foreign awards should take place as soon as possible if India is to remain as an equal partner, commercially speaking, in the international community. In point of fact, the raison d’être for the enactment of the Commercial Courts Act is that commercial disputes involving high amounts of money should be speedily decided. Given the objects of both the enactments, if we were to provide an additional appeal, when Section 50 does away with an appeal so as to speedily enforce foreign awards, we would be turning the Arbitration Act and the Commercial Courts Act on their heads. Any construction of Section 13 of the Commercial Courts Act, which would lead to further delay, instead of an expeditious enforcement of a foreign award must, therefore, be eschewed. Even on applying the doctrine of harmonious construction of both statutes, it is clear that they are best harmonized by giving effect to the special statute i.e. the Arbitration Act, vis-à-vis the more general statute, namely the Commercial Courts Act, being left to operate in spheres other than arbitration., the bench observed.